Vampire or Demon... ? I'm fond of the old school vampires - like Nosferatu! This guy's no hunk like Anne Rice's Lestat. This one scans terribly - he looks a lot brighter and more contrasty in real life. 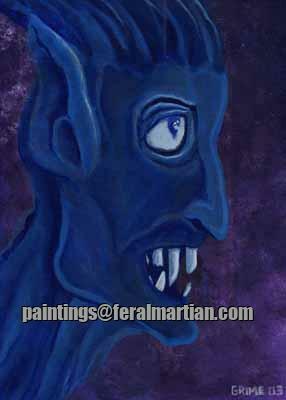 One of my first paintings - I probably had a surplus of blue that day.